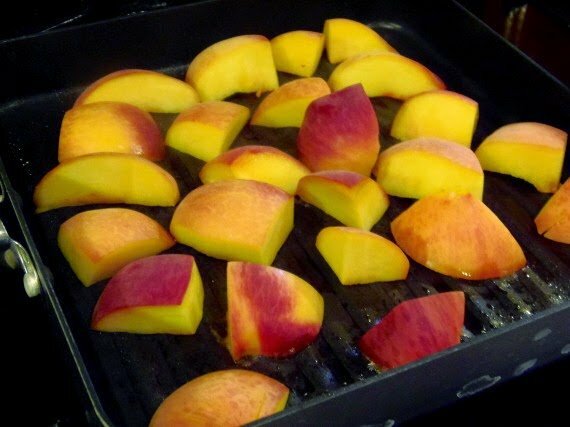 I wanted to take full advantage of summer’s peach season before it’s all just a distant, wintry memory so when I was asked to bring an appetizer to a friend’s party recently, I decided I’d try my hand at making a healthy and fresh Grilled Peach Salsa. 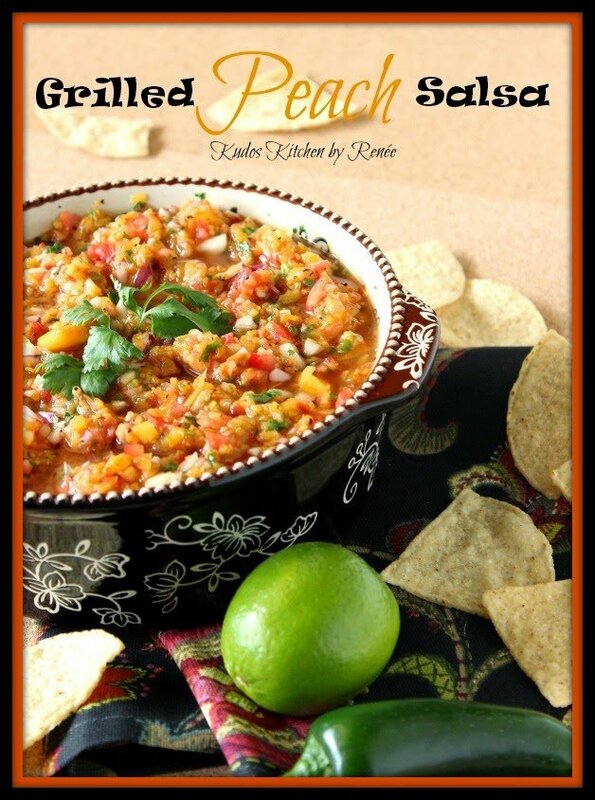 What I love about the taste of this salsa is the mix and complexity the sweetness of the grilled peaches provide along with the slight heat of the jalapeno, the bite of the red onion, and the mild background tastes of cucumber, tomato, lime and cilantro! No one ingredient overpowers any of the others, and they all play well together in the pool. So you’d better grab a big bowl of chips because you’re going to be one happy snacker…but without the guilt! 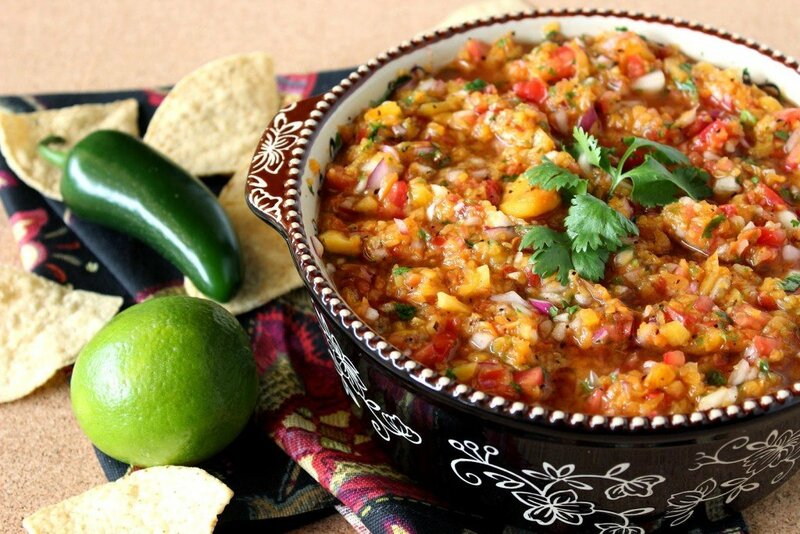 And, if all that’s not enough for you…if you have any leftovers (depending on how many people you’re serving, and how hungry they are), this Grilled Peach Salsa will make an excellent topping for grilled fish or even seafood tacos. Gosh, that taco idea sure sounds good (note to self)! 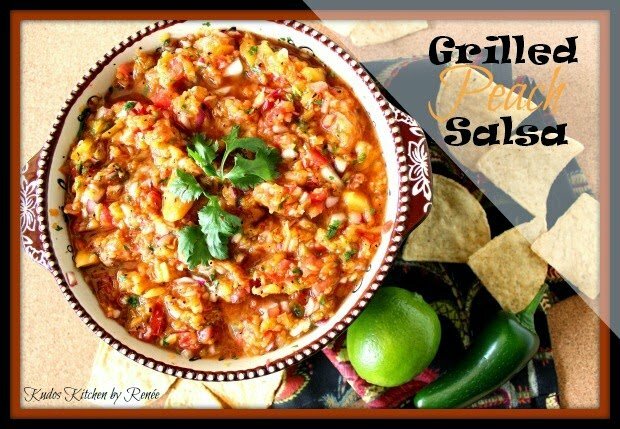 Tonight I’m making some grilled tuna steaks and you can bet your bottom dollar this salsa will be happily spooned all over the top of that little fishy!!! I. Can’t. Wait!!! 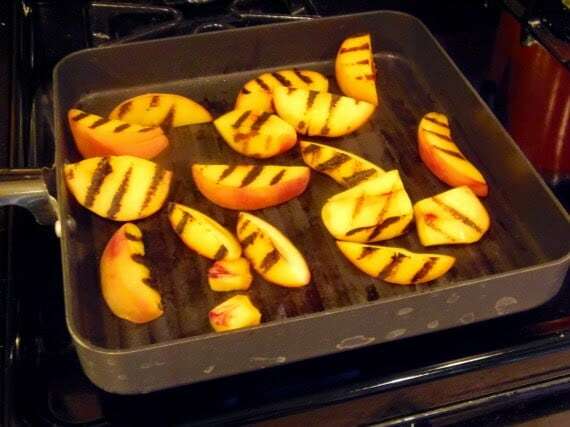 -Place the peach pieces on an indoor grill pan (or outdoor grill) that has been sprayed with olive oil spray and grill over medium/high heat until grill marks appear. Continue grilling all sides. Remove and cool. -In the bowl of a food processor, and working in batches, pulse the first 5 ingredients so that they still have nice texture and not turned into a paste. Place the processed ingredients into large bowl and continue processing the 4 remaining ingredients. 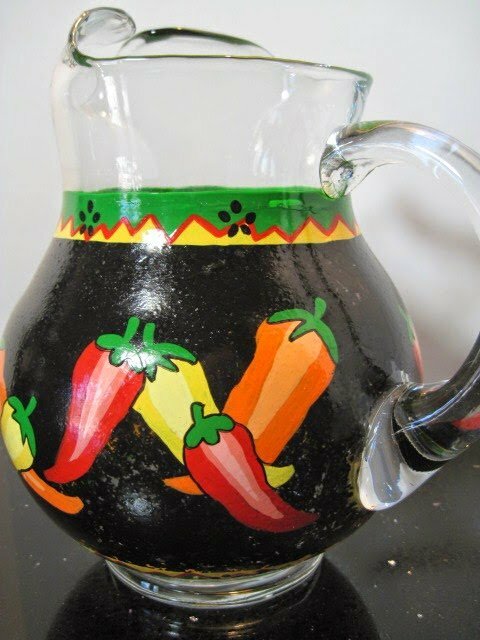 -Once all the ingredients are processed, stir well to combine. -Stir in the salt, pepper, cilantro, honey and lime juice. -Stir again, and refrigerate at least 2 hours before serving. 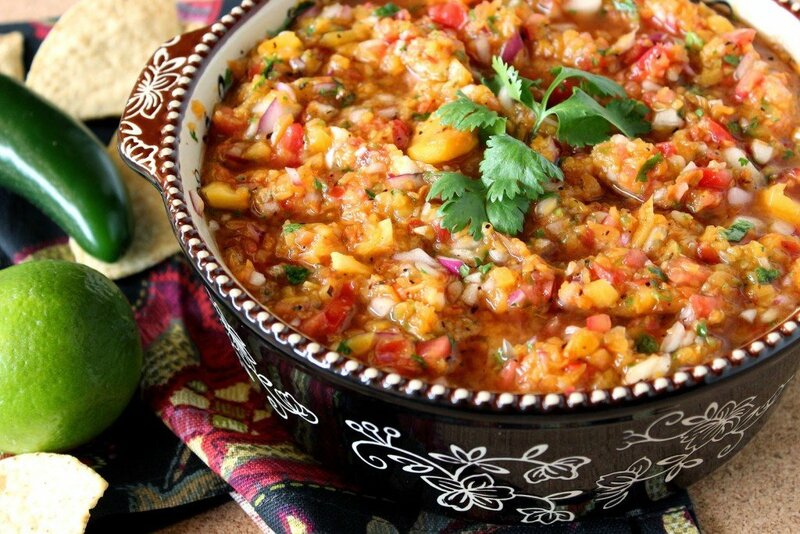 Time to pour a few Margarita’s to compliment this tasty Grilled Peach Salsa, don’t you think? Cheers to good food, good drinks and good friends! If there is ever anything I can paint for you, please don’t hesitate to contact me or visit my shop. Custom orders are always welcome and I can work from any photo or description you send my way! Thanks so much for visiting my Kudos Kitchen. I hope you’ve enjoyed your stay. What a perfect refreshing end to summer. I can taste it now on some blackened fish.